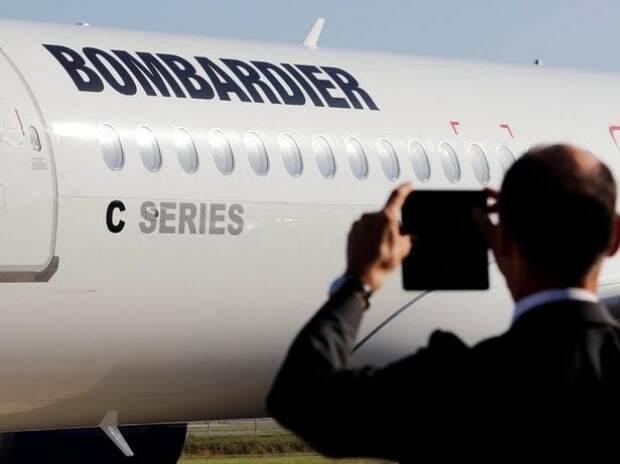 Mitsubishi Aircraft Corp on Monday accused Bombardier Inc of using "anticompetitive conduct" to limit competition for planes with under 100 seats, as the Japanese company works to bring its long-delayed regional jet to market. Mitsubishi said in a counter-filing claim that Bombardier tried to coerce it and Seattle-based Aerospace Testing Engineering & Certification (AeroTEC) to sign no-poach agreements in 2016 that would stop them from hiring the Montreal-based company's employees. Bombardier Chief Executive Alain Bellemare also implicitly threatened the continuation of its "supply relationship" with Mistubishi Heavy in a 2016 letter to board chairman Hideaki Omiya unless the Japanese company "ceased the solicitation of Bombardier employees," Mitsubishi said in the claim. "Bombardier has threatened, pressured and sought to coerce Mitsubishi Aircraft, its U.S.-based partners, and individual employees working on the MRJ programme." Mitsubishi's regional jet programme, Japan's first passenger plane since the 1960s, has been delayed by several years, with first customer ANA Holdings Inc now expecting the 90-seater plane in 2020, rather than in 2013 as originally envisaged.